Four targets identified as being part of the terror infrastructure were hit in the southern part of the Gaza strip, The Jerusalem Post reported citing an IDF spokesperson. There were no reports of any casualties or damage. 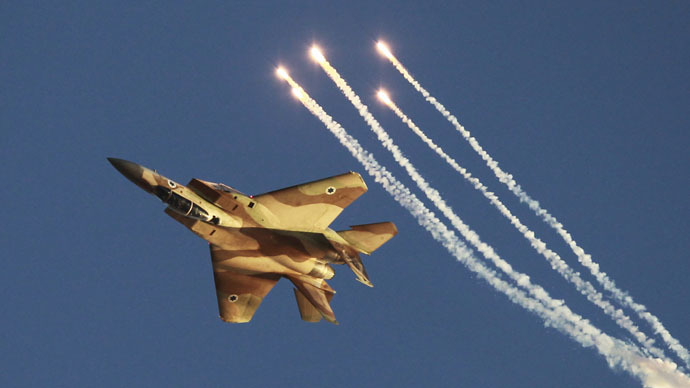 Following yesterday's rocket attack against #Israel, #IDF aircraft attacked 4 terrorist locations in southern #Gaza. Meanwhile, Iranian channel Press TV reports that Israeli air raids targeted the Nuseirat refugee camp in central Gaza and the southern cities of Rafah and Khan Younis, as well as Beit Lahia in the north. Israel blames Hamas for launching a rocket from Gaza into the Gan Yavne region earlier on Tuesday, which caused no damage or casualties. A 15-year-old girl who suffered a panic attack as air sirens sounded in several Israeli communities became the only reported victim. A Hamas official meanwhile told AP that the rocket had been launched by unknown militants. Just spoke on @CNN about this evenings rocket attack from #Gaza. #Hamas is responsible for all attacks originating from the strip. “These strikes are a direct response to Hamas and the aggression against Israeli civilians originating from the Gaza Strip,” military spokesman Lieutenant-Coloner Peter Lerner said in a statement cited by Reuters. "The reality that Hamas' territory is used as a staging ground to attack Israel is unacceptable and intolerable and will bear consequences." The situation has mostly been calm since last summer, when Israel conducted a deadly military operation in Gaza in response to regular missile attacks on Israeli territory. However, since then, Tel Aviv has still blamed Hamas for sporadic rocket fire from territory under its control, launching retaliatory strikes.